Housing trends reported to the REALTORS Association of New Mexico (RANM) for April show a continuing increase in the number of sales, while monthly median prices are slightly lower than prices recorded in April of 2011 and 2012. New Mexico reflects national growth in number of sales. 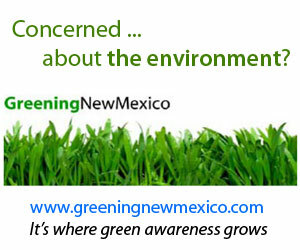 1,387 April 2013 New Mexico sales were reported to RANM. 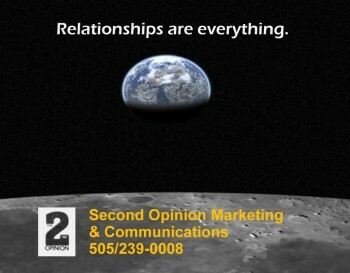 In April of 2012, 1,273 sales were reported and in April of 2011, there were 1,110 reported sales. 2013 year to date sales are nearly 10% more than 2012 and over 20% more than 2011 numbers. Homes are selling at a faster pace than previous years which is good news for sellers. -0.6% decrease from April 2011 when the reported median was $165,000. Statistical information and trends are based on information furnished by New Mexico Member Boards and MLSs to U. S. House Stats. Current reporting participants are: Greater Albuquerque Association of REALTORS, Las Cruces Association of REALTORS MLIS, New Mexico Multi-Board MLS (Artesia, Carlsbad, Clovis/Portales, Deming, Gallup, Grants, Hobbs, Las Vegas, Sierra County areas), Otero County Board of REALTORS, Roswell Association of REALTORS, Ruidoso/Lincoln County Association of REALTORS, Santa Fe Association of REALTORS, San Juan County Board of REALTORS, Silver City Regional Association of REALTORS, and the Taos County Association of REALTORS. Reports represent single family residential data only. Information does not necessarily represent all activity in any market/county. Figures based on reports run 5/21/13. Visit www.nmrealtor.com (housing trends) for county and board statistics. This information was submitted by: The REALTORS Association of New Mexic, one of the state’s largest trade associations, representing over 5,400 members involved in all aspects of the residential and commercial real estate market. Statistical information and trends are based on information furnished by New Mexico Member Boards and MLSs to U. S. House Stats. Current reporting participants are: Greater Albuquerque Association of REALTORS, Las Cruces Association of REALTORS MLIS, New Mexico Multi-Board MLS (Artesia, Carlsbad, Clovis/Portales, Deming, Gallup, Grants, Hobbs, Las Vegas, Sierra County areas), Otero County Board of REALTORS, Roswell Association of REALTORS, Ruidoso/Lincoln County Association of REALTORS, Santa Fe Association of REALTORS, San Juan County Board of REALTORS, Silver City Regional Association of REALTORS, and the Taos County Association of REALTORS. Reports represent single family residential data only. Information does not necessarily represent all activity in any market/county. Figures based on reports run 2/18/13. 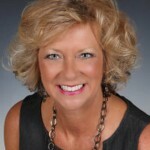 Visit www.nmrealtor.com (housing trends) for county and board statistics. This article was submitted by the REALTORS Association of New Mexico is one of the state’s largest trade associations, representing over 5,800 members involved in all aspects of the residential and commercial real estate market. 15,098 home sales were reported to the REALTORS Association of New Mexico (RANM) during 2012. This is over 13% more sales than reported in 2011 (13,300) and is nearly 6% higher than the 2008 count of 14,218, the largest activity before 2012 since RANM began keeping state-wide figures in 2007. 22 reporting counties showed an increase in sales from 2011 to 2012; 3 showed no change; and 6 reported a decrease in sales. 2012 median prices are up slightly from those reported in 2011. The 2012 median is $167,500; the 2011 median was $166,500. The 2012 New Mexico median price is over 10% lower than the 2008 high of $188,000. Median price indicates half the properties sold for more and half for less. Statistical information and trends are based on information furnished by New Mexico Member Boards and MLSs to U. S. House Stats. Current reporting participants are: Greater Albuquerque Association of REALTORS, Las Cruces Association of REALTORS MLIS, New Mexico Multi-Board MLS (Artesia, Carlsbad, Clovis/Portales, Deming, Gallup, Grants, Hobbs, Las Vegas, Sierra County areas), Otero County Board of REALTORS, Roswell Association of REALTORS, Ruidoso/Lincoln County Association of REALTORS, Santa Fe Association of REALTORS, San Juan County Board of REALTORS, Silver City Regional Association of REALTORS, and the Taos County Association of REALTORS. Reports represent single family residential data only. Information does not necessarily represent all activity in any market/county. Figures based on reports run 1/16/13. Visit www.nmrealtor.com (housing trends) for county and board statistics. Not being a psychologist or mind reader I can’t point with certainty to the reasons our elected leaders act as they do, but if I were to make an educated guess I’d say that they all subscribe to the two kinds of people theory, aligning themselves with one of two schools of thought on how to legislate and motivate. They are: the reward school — those who would rather change human behavior by offering incentives and the punishment school — those who believe that rigid rules and regulations will accomplish their goals. I haven’t done extensive research on how successful each of these two approaches has been, but there are some actual decisions we can look at to see the fingerprints of the carrot and stick at work. Let’s start with perhaps the classic example of a well-meaning law (punishment) that ended up being reversed after just 13 years in force (reward)… the Volstead Act or prohibition. In 1920, all private ownership and consumption of alcohol was made illegal by the 18th Amendment to the Constitution, and the Government crackdown on beer, wine and distilled spirits ended up creating a cottage, off-the-books industry which eventually spawned a tidal wave of an even bigger industry, organized crime. Way to go, Temperance League and politicians! By not understanding human nature, the punishment school advocates used this law to take away a good from those who had abused it and punished the not guilty as well. Talk about collateral damage! Now I’m not saying that the alcohol banners’ motives weren’t admirable. Fact is, we’d probably be better off without all the DWIs, spousal abuse, crisis intervention and treatment costs associated with alcoholism. They just used the then nuclear option and failed. By the way, liquor sales (not counting beer or wine) were nearly $20 billion in 2011, up 4% from the year before. Exports were up 16.5% to $1.3 billion. Next is the oil depletion allowance, an incentive (reward) to oil companies going back to WWI that lets them deduct 15% of the money generated from their wells from their taxes. It essentially allows oil companies to treat oil in the ground as capital equipment which can be written down. Proponents say it’s a small price to pay (reward) for eventually drilling themselves out of business as resources dry up, but detractors say that oil in the ground must never be treated as capital equipment but rather a national resource which they say is being used for the oil companies’ profits (punishment). A recent bill introduced in May 2011 that would have removed this subsidy was voted down in the Senate by 45 Republicans and 3 Democrats. It seems that oil is bi-partisan. A prime example of a piece of legislation that embodies both the reward AND punishment school of legislative thought is the Patient Protection and Affordable Care Act — aka Obamacare. Whatever your own personal feeling about this legislation, it was a bill born of a steamrollered process (punishment), passed using reconciliation requiring only 51 Senate votes (punishment) and enshrined healthcare coverage for all Americans (reward) while instituting a penalty (punishment) for those who refused to buy health insurance. The 2,300 page bill will effectively impose other taxes (punishment) and may result in a government takeover of an industry that represents 26% of our GDP (punishment or reward depending on your political point of view). While it may be human nature to use both reward and punishment for social engineering, it is probably the ultimate mistake to use only one of them all of the time. Every parent knows the value of a carrot and a stick in child-rearing. It’s a pity our legislators didn’t get the memo, especially as we face the prospect of going over a fiscal cliff into the abyss where there is only punishment to greet them. With only one day to go before election day, I find my head in a perpetual state of jerky lateral motion over the disreputable tactics used by some of the campaigns to say nothing of the downright nasty epithets about the opposing candidate that have been hurled our way. It seems we’ve graduated from the simple ‘flip flopper’ designation and ‘swift-boating’ techniques that worked in the 2004 campaign to one of total thermonuclear character annihilation – a take-no-prisoners, scorched Earth approach that even Dr. Strangelove would have rejected. I watched all the primary debates and the Presidential and Vice-Presidential debates along with the pre-debate and post-debate coverage. I sat through commentary by Chris Matthews, Chris Wallace, Bill Maher, Bill Moyers, Bill O’Reilly, Sean Hannity, and foreign correspondents like Catty Kay from BBC. I tuned in to NPR (and even Amy Goodman) and read Time and Newsweek, countless blogs and online newspapers. I viewed both conventions and listened to the speeches. In addition, I poured over the analyses of pollsters from the left and right and pundits of every shape, size and political stripe. I managed to survive the war on women, the birth certificate skirmish, the Occupy Wall Street movement, the Tea Party rallies, the Congressional stalemate on the debt ceiling, the war against big business and Wall Street, the rise of Sandra Fluke on the reproductive rights fight, the seedy Mormon innuendoes along with attacks on Paul Ryan and Medicare privatization, President Obama’s fund-raisers, golf game and TV appearances, Joe Biden’s “…put you all back in chains” gaffe, along with criticism of Mitt Romney’s dog, his hair, his memory (Romnesia), his wife’s horse and his car elevator. But the worst tactic of all has been the 1% versus the 99% argument, proffered by the President and his acolytes. This clear divide-and-conquer strategy hasn’t been used to such an extent since the 1917 Russian Revolution, and it hasn’t rung more hollow since the fall of the Soviet empire in the late 1980s/early 90s. That is not to say it will not work on November 6th.. It may very well, especially when combined with his party’s ‘laser-targeting strategy’ of ripping apart the American electorate into bite-size separate demographics and playing to their weaknesses, envy or fear of the opposition and what America might become under an elitest administration. Indeed, this campaign ploy to paint a whole political party and candidate for president as the party or candidate of one percent, is not something I would have expected from a President who said he would unite us. It is, however, something I’ve come to expect from certain politicians (left or right) who will do everything possible to hold on to power, no matter if they’re in the Middle East or on the banks of the Potomac River. So there you have it, the 1% argument: us against them, good against evil, the entitled against the robber barons, poor America against rich America, undeserving wealthy people against deserving innocents, the privileged class against the working class (or the unemployed class). Actually, when you examine the 1 vs. 99 case, it is a specious or sophistic argument at best. A reasonable person need only use some of his own life experience to measure its validity. For example, how many of your classmates were responsible for all the disruptive antics in the classroom? Probably 1%. Or how many policemen protect all of the 155 million workers (not to mention the unemployed) in the U.S.? Answer: fewer than a million. And how many active duty military personnel put their lives on the line for the likes of you and me and 325 million other Americans? About 1.5 million – or less than 0.50% of our total population. The list goes on and on. Just as “One swallow does not a summer make” (Aristotle: one of the top one percent thinkers of all time), neither should one percent of anything be viewed with undue suspicion or fear. Instead of vilifying the 1% let’s be thinking of ways to persuade them to stand with us. Please vote on November 6th. One hundred percent of America will be affected by it.